About — Fusion Solutions | Innovative welding solutions. WCWT Holdings Inc. has been in business since 1991. From its inception, it has developed and provided cost effective engineering solutions for many industries needs and requirements. The PTA weld overlay process is used for applications with extreme service demands requiring wear or corrosion resistance. The capability of producing a low dilution, porosity free, weld overlay allows the PTAW process to achieve a higher quality product using much less material and with drastically less heat input into the base material. We perform several that are used for part refurbishment, enhancing specialty equipment performance and component manufacture. We deal with numerous industries performing welding for part manufacture, part and equipment repair. We are qualified to numerous AWS/CWB weld standards. We have experience working with virtually all ferrous and nonferrous materials using numerous weld processes. WCWT manufactures ground support equipment for the aerospace and fall protection industries. Our product line includes aerospace component shipping containers, reworks and storage stands for component repair/rebuild and fall protection/access stands for aircraft and equipment maintenance. These solutions may involve the design and development of a prototype that will improve the efficiency and reliability of your equipment. Existing parts can be salvaged, reclaimed and improved at a cost that is much less than replacement. We have experience working with all ferrous and nonferrous materials using numerous welding and thermal spray processes. 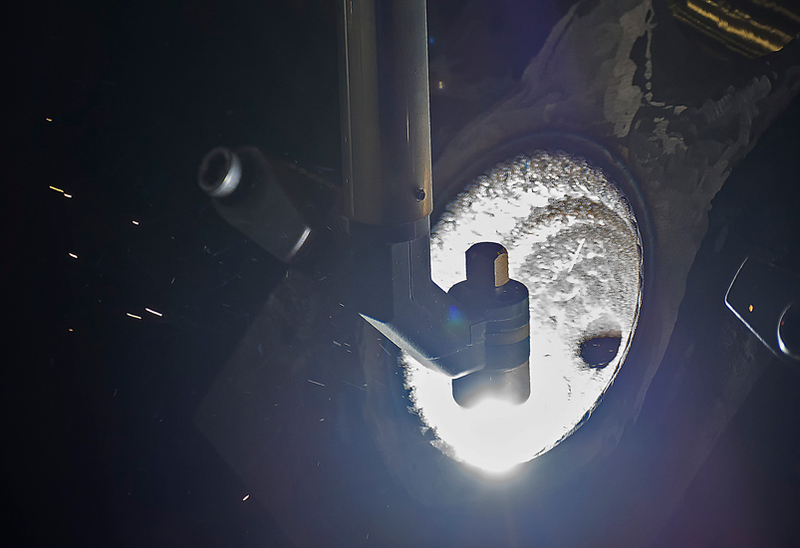 We have provided welding and thermal spray solutions ranging from forging die rebuilds, salvaging worn and damaged parts to enhancing finished products performance. We hold numerous AWS/CWB weld qualifications and procedures as well as several Transport Canada Repair Design Certificates for aerospace component thermal spray repairs.